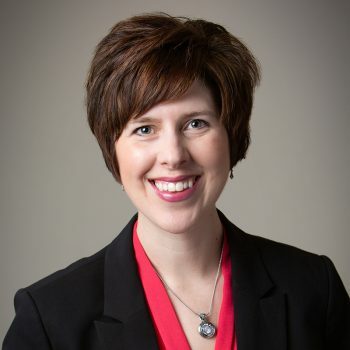 Certified physician assistant, Kari Hegg has over 17 years of experience in the family practice setting and 3 years of training in dermatology. She strives to really connect with her patients, find out what their biggest concerns are and work together to make a mutual decision on the best treatment plan. Kari sees patients of all ages and treats a wide variety of dermatological conditions including acne, warts, eczema, and moles, as well as performing skin cancer screenings. The most rewarding part of working in dermatology is through finding a melanoma or treating a stubborn rash or acne, I can improve my patient's quality of life and self-esteem. Very professional. Was in and out in 30 mins with a correct diagnosis. Highly recommend! Great care from Kari and the Forefront Team. Would highly recommend their service. Dr. Hegg was efficient and compassionate. I was fully satisfied and would highly recommend her to others. 4th time is the charm !! I had 3 previous visits with a different doctor, and always putting a Band-Aid on the issue. Kari examined, listened to me and made several suggestions including new soap, and an ointment that has worked extremely well. Finally have the results I was looking for - thank you Kari ! Kari and her assistant were both super friendly and professional. Visiting their office was by far the best experience I've ever had with a dermatologist! Easy to book an appointment, was seen on time, and from the receptionist to Kari, everyone put me at ease with their calm and friendly demeanor. I would highly recommend this dermatologist clinic to friends and family. Set our minds at ease. After are primary care doctors diagnosed my husband and me with scabies we tried everything to clear it up. Finally we decided to see a dermatologist. It was not scabies after all. It is was not scabies it dermatitis and we where treated with a topical cream that cleared it up. Needless to say we no longer go to that primary care clinic. Thanks you for helping us with this problem. I felt like all of my concerns were addressed perfectly. I appreciate she answered all my questions and didn’t make me feel silly for asking them.